Porsche has introduced the new 911 Carrera 4 and Carrera 4S so it is only a matter of time until the range grows again. Performance is everything here at Zero2Turbo so naturally we are very interested to hear what the new 911 Turbo models will offer. The appearance of the latest Turbo mule spotting shows some aggressive aerodynamic elements which points to a increase in power output (naturally). On the engine front, we are expecting Zuffenhausen engineers to retire the 3.8-litre twin-turbo flat-six in favour of an all-new unit, all in the pursuit if greater efficiency. 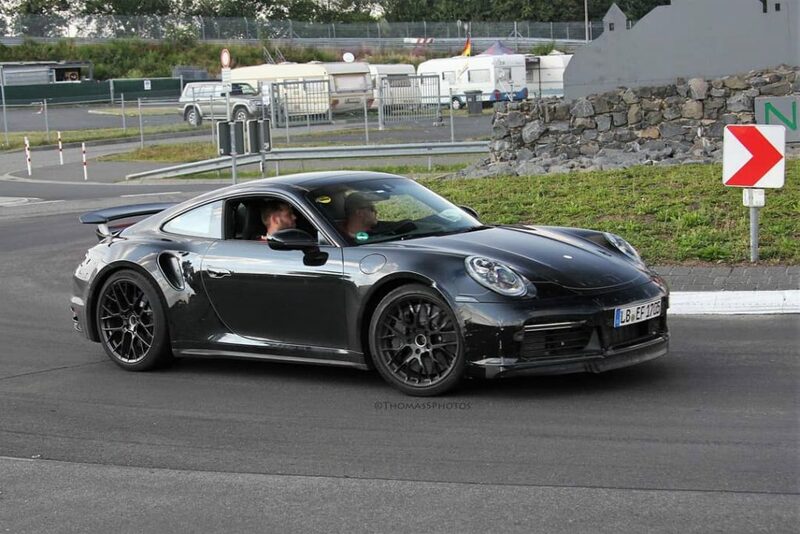 Power output is unknown at this stage but it will likely be a little higher than the current 991.2’s 580 hp (433 kW). The wildest rumors out there talk about the Turbo S morphing into the Turbo S E-Hybrid, as it has happened with the Panamera and the Cayenne. This is not a crazy thought either as the manufacturer has confirmed the hybridization of the 992, but the company hasn’t delivered any further details.